Well, the popular Hollywood logic says “If you are good at something, never do it for free.” But, should you just go by that? The education industry has become highly competitive. Enthusiastic learners see e-learning as a convenient alternative to classroom model and are willing to pay a premium to up-skill themselves. If you are an expert in niche domains like ‘block-chain’, ‘machine learning’, ‘cyber security’, etc. it is time you capitalise on this opportunity. 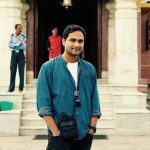 Moreover, a training business that caters to remote learners is operationally low-cost and is easily scalable. The online world is populated by self-proclaimed pundits and gurus so much so that professionals seeking answers for business problems are spoilt for choice. To cut across this digital noise and to establish oneself as a thought leader, it is vital to send the right signals to the corporate fraternity. Conducting paid webinars reassures that you are a veteran in business consulting, thus helping them separate the wheat from the chaff. It is imperative for marketers who want to expand their partner base, to convince the reseller community about the business potential. This is why large scale software companies put in place rigorous on-boarding for partners. Hosting paid training and issuing certificates of excellence clearly shows the high value attached to the product. 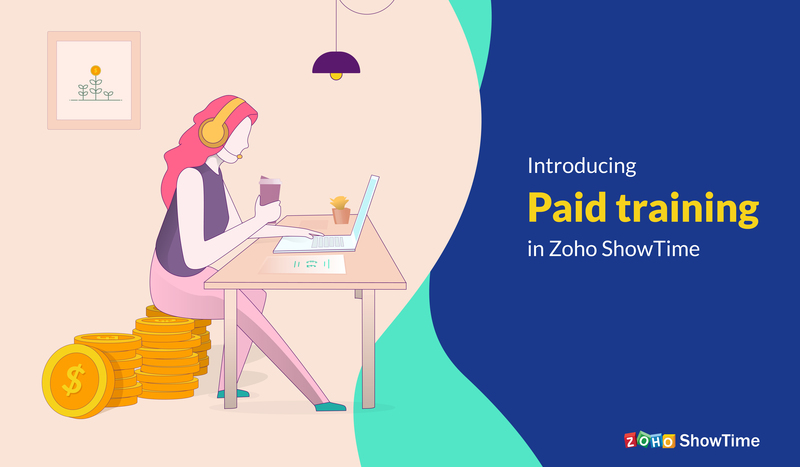 We at Zoho ShowTime have understood this paradigm shift and have introduced the Paid training feature. You can now add tickets to your trainings or webinars by configuring a payment gateway and start charging your attendees in a few simple steps. Better still, you can customize your e-commerce by running promotions, setting up a refund policy and generate a steady flow of revenue. To learn more about this feature read this forum post or our detailed user guide. 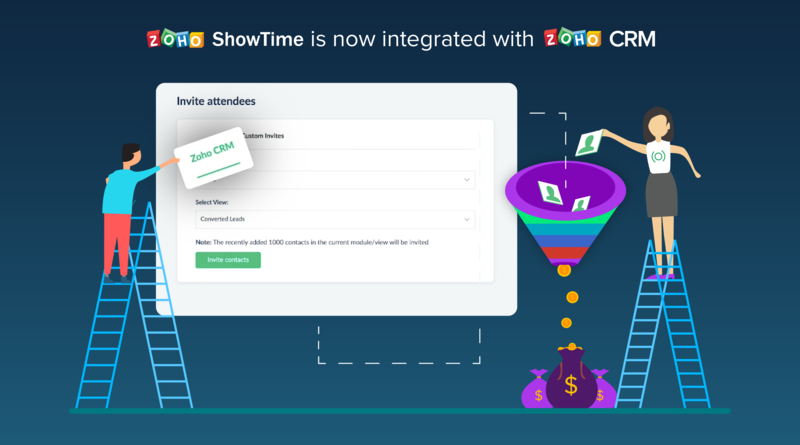 You can also share your feedback about your experience by emailing support@zohoshowtime.com. ShowTime is an online training platform whereas Meeting is an online meeting and a webinar tool. Using ShowTime you can host live remote sessions like webinars or virtual trainings and engage with your participants in real-time.